I observed many craftsmen from varied fields; carpenters, welders, locksmiths and others. I found that all of them improvise themselves additional working tools, by the means and materials that surround them, to assist their specific job. Tools, that despite their ridiculous look, are very useful. How these fascinating tools would look like if they were produced professionally? This question led me to start my project "From improvisation to design". The process started with an improvised model, two planks held by a clamp, a common used woodworking tool, and together they became a standing construction. 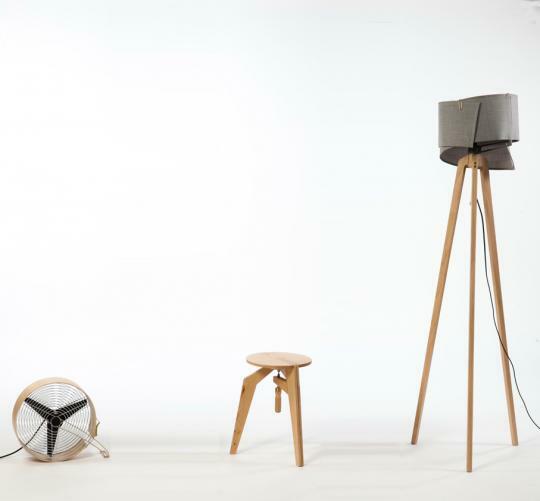 This model led me to design a knock-down stool assembled by the same principle. The approach was to examine the relations between the familiar clamp and the stool, while keeping the joint visible. Every week a new stool was built, and after six weeks I had a final model. 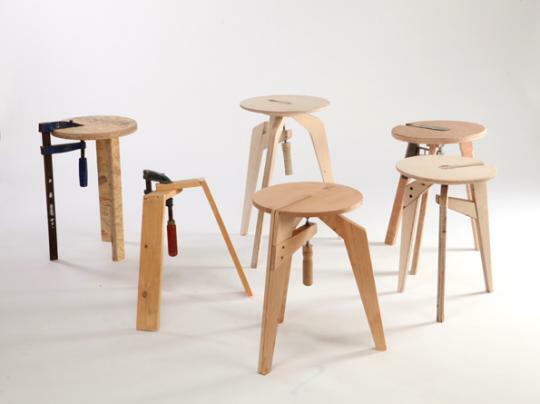 The result is a DIY three leg knock-down stool, assembled with a single clamp based joint, integrated with one of the stools legs that locks the whole construction together, giving it its strength. 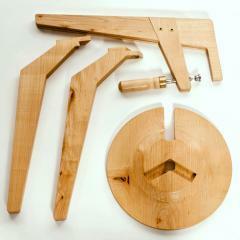 The intuitive revolve motion makes the assembly process a simple and satisfying experience. The "parts" project continues the project "from improvisation to design". 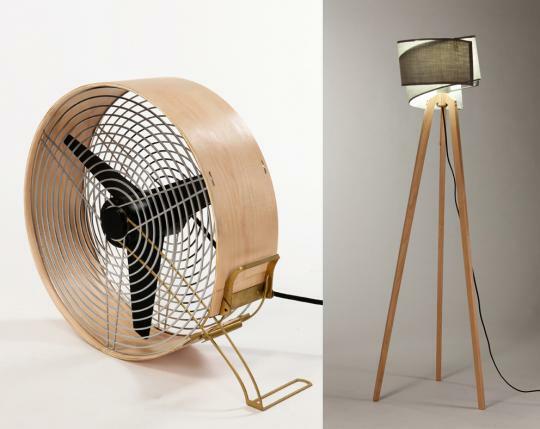 Here I chose to design another two domestic objects: a floor lamp and a fan. Both are intuitively assembled from their knock-down state using a single unique joint. The joint that holds the lamp is a nut integrated with the lamp socket and the fan is being locked with a clip joined with the veneer that wraps the motor and the wire frame.